Co-screenwriter and co-director of the documentary Criers of Medellín. 2017: Official selection of the International Festival Escales Documentaires – France. 2016: Official Selection of Smart FIPA – France; Winner of the New Media category in the New Media Film Festival – Los Ángeles; Official Selection of Prix Varenne Web&Doc FIGRA – France. 2015: Official Selection of the Dok Leipzig Festival. I was seven years old when I last saw my father. 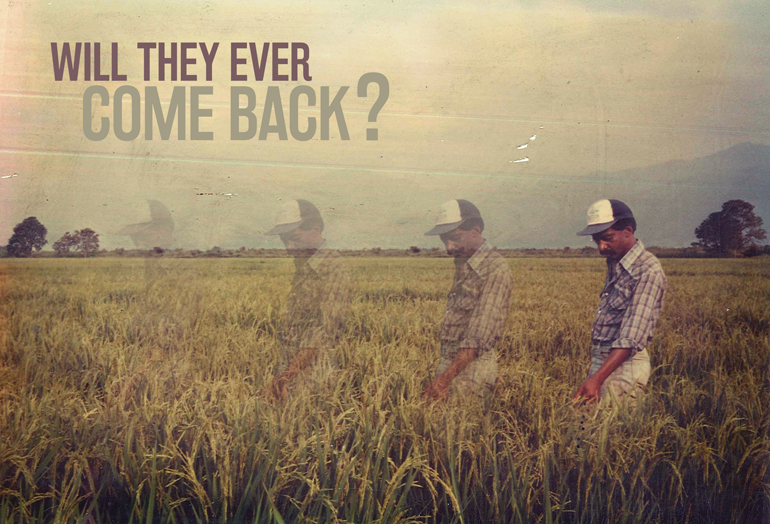 The tractors that he used to grow rice had been stolen, and he was vanished while looking for them. Life kept going and brought great opportunities, but there were no answers or signs of his whereabouts. 25 years later, my sister and I go back to this “chapter of our lives” through a text that contains what we have: absence, expectation and resilience of our family and of others who were affected. It is not my fault that the soil swallowed my father, but it would be unfair that my oblivion does. 1992. In Caloto, Cauca, my father, the farmer Esaú Carabalí Brand, was vanished. His whereabouts remain a mystery kept by sugarcane crops and paddies, fertile ground for the culture of nourishments and horrors. But life keeps going, and we had to keep going without him. 25 years later, a dream awakes the urge to unearth the story and to explore absence as concept and reality within our immediate surroundings. This film written by two sisters, focuses on creating correlations and contrasts between dream and reality, rather than focusing on perpetrators and victims, revealing the significant aftermath of absence on the relatives of those who have been vanished. Will they ever come back? is a story that pursues experimental fields. Epiphanies, revelations and dreams serve as vehicles to journey through an alien land that knows no satisfaction when it comes to devouring people. It is a documentary with experimental components, mostly graphic and acoustic metaphors, and by some interventions performed on the selected archives (animated segments on specific moments). The structure has been divided into four main subject groups: homecoming, search, absence-expectation, and mourning. First-person voice-over account, and a group character consisting of several victims relatives. The landscape (river, soil, crops) is another character, and oneirism, magic and religion are aesthetically and thematically relevant. Jhonny Hendrix Hinestroza. Producer of outstanding and award-winning films such as Perro come perro, Doctor aleman, Chocó, Deshora, Saudo, Candelaria and Anina some international premiered in Sundance, Berlin and Karlovy Vary. Director of Chocó, selected in Berlin 2012. Saudó (2016), Candelaria (2017), the latter receiving Best Director award in the Venice film festival’s parallel section. ANTORCHA FILMS: Colombian film company (2003) under the leadership of director-producer Jhonny Hendrix Hinestroza. The main highlights of his projects are Perro come perro (2006), Doctor Alemán (2007), Chocó (2012) Deshora (2014), the film Saudó (2016) and Candelaria (2017), the latter receiving Best Director award in the Venice film festival’s parallel section.